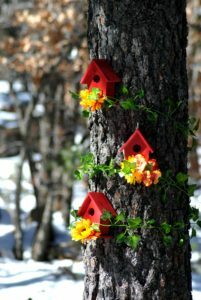 DIY project #1: Miniature wood birdhouses (above left) spray painted red and decorated with silk flowers, nailed to a tree, and wrapped with silk ivy to keep them in place through the high winds. A little splash of color and lots of fun to make! DIY project #2: Recycled plate bird feeder (above right) with this sweet decorative plate, string, colored beads, and a large silk flower hot-glued to the bottom for added interest! The birds can’t seem to leave this one alone. Lol. 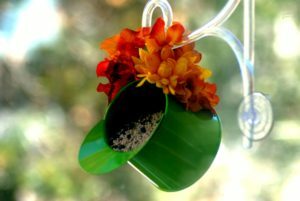 DIY project #3: Small Green Watering Can bird feeder (above left) with hot-glued silk flowers hanging from a glass suction-cup window hanger for bird feeders. Great way to add a splash of color and bring the birds closer to the window for better observation! DIY Project #4: White Metal Sconce bird feeders (above right) with hot-glued silk flowers and ivy tied to a metal garden trellis and filled to the brim with bird seed. Both pretty AND functional! Not too shabby! And I still have some supplies left over for creating more DIY bird projects this weekend. I’m so excited! Did you know? The average wild bird weighs less than two nickels, and winter can be a very punishing time for our backyard friends. This explains why in 1994, John Porter, Illinois’ 10th District Congressman read a resolution that February would become National Bird Feeding Month. His proclamation was designed to encourage people to feed wild birds throughout the entire month when food sources are most scarce. In fact, millions of wild bird enthusiasts now traditionally make special efforts in February to feed, watch and protect wild birds. Over 50 million people regularly feed wild birds in the USA, long recognized as one of the most popular outdoor activities for adults and children too. Help spread the word by sharing this post with everyone you know. Comment about National Bird Feeding Month on your Social Media Platforms. Take pictures of birds at your feeder and post them on your Social Media Platforms using #natlbirdfeedingmonth. Familiarize yourself with our unsung heroes and share your knowledge with others. Stock up on bird seed and suet to keep your existing feeders full throughout the month. 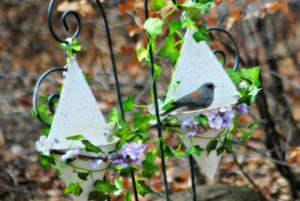 Make this easy DIY bird feeder to pass out to friends and colleagues on Valentine’s Day. 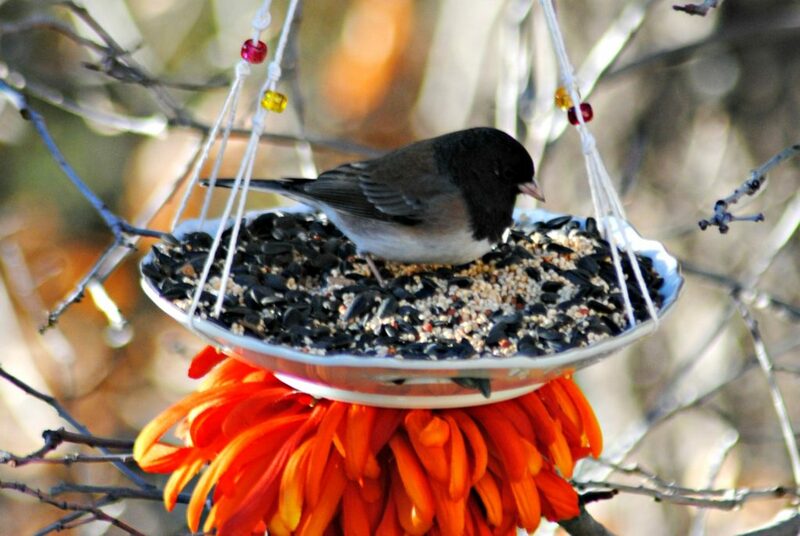 Give an inexpensive feeder and wild bird seed to someone you love. Add something new to your backyard station (i.e. birdhouse, feeder, birdbath). Symbolically adopt a bird through the National Wildlife Federation adoption program. 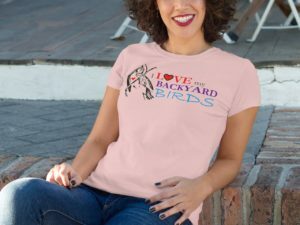 Purchase your “I Love My Backyard Birds” women’s Tee to show your love of birds. Host a bird-watching party in your own backyard. 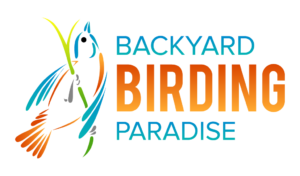 Sign up for the Great Backyard Bird Count which will be held between Feb 17 and Feb 20. February is one of my favorite months of the year, and even more so because it’s National Bird Feeding Month. In fact, just last weekend I purchased another 80 lbs. of wild bird seed to stock up. Yep, we’re going through that much in about a month’s time, so if the birds aren’t in your backyard they’re probably in mine. Lol. Anyway, I’m hoping you’ll jump on my bandwagon and do your part to feed the birds this month and promote backyard birding as and educational and environmental adventure. 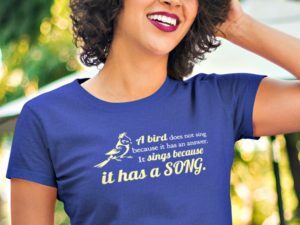 Because, February really is for the Birds! Literally. Valentine, Shmalentine… February is for the Birds! February can be a frantic month for people, with emotions often running high from pressure to create the perfect display of affection, spend inappropriately on gifts, exaggerate a new or undesirable relationship, or feel penalized for not being in a relationship. Geez! No wonder so many people HATE February. February can also be a frantic month for birds. WHY? Because February is one of the most difficult months for wild birds in terms of natural food and water supply, at least in the United States. In fact, John Porter (R-IL) proclaimed February as National Bird Feeding Month on February 23, 1994, when he read a resolution into the Congressional Record encouraging individuals to supplement wild birds’ natural diet of weed seeds and insects by feeding the birds in their own backyard. Don’t forget, the birds also need water, not just to drink but also to bathe in – a requirement for keeping feathers in top flight shape. If you have a birdbath already, make sure it’s clean and fill it to the brim. If you don’t already have a birdbath, a make-shift bath is just as practical. 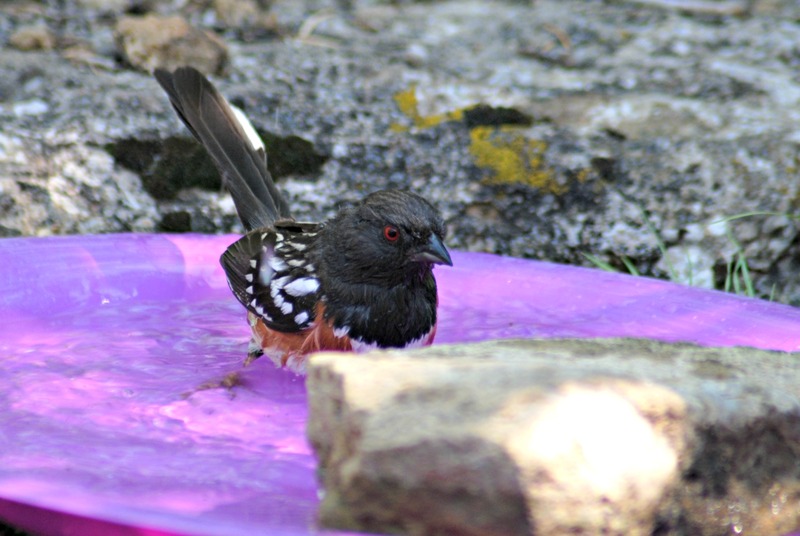 At our cabin in New Mexico, I placed a shallow plastic dish on the ground, added a large rock from the property for the birds to perch on, and filled it with water. The birds won’t mind that I didn’t spend a lot of money on it. AND… if you’re a romantic at heart, what could be more precious than spending Valentine’s Day with your loved one enjoying nature by feeding and watching the birds? Yes, the sign at our house reads, Birds Eat Free! And I will make sure they eat free all month long. Will you join me?